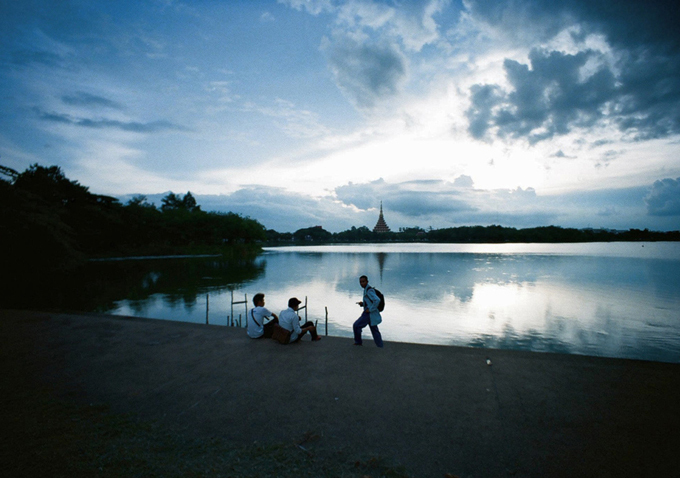 What is there to say about Thai director Apichatpong Weerasethakul’s Cemetery of Splendor? I would say you don’t want to go into a Weerasethakul film cold, but one of his somnambulist odes needs to be your first, so why not this? In a rural hospital for injured and comatose soldiers, an elder nurse (Jenjira Pongpas, also from the director’s masterpiece, Uncle Boonmee Who Can Recall His Past Lives) muses on nationalism and the world both seen and unseen. There she befriends a psychic who claims to speak to the comatose soldiers and delivers messages to loved ones (a wife calmly demands to know the whereabouts of her husband’s alleged mistress). Meanwhile, long dead kings wage battles with the soldiers in their dreams…a story told by two young women claiming to be the physical manifestations of the goddesses to whom the nurse delivers offerings. All of this might sound a bit fantastic, but it’s all presented matter-of-factly as mundane discussions about relationships and everyday life intertwine effortlessly with talk of spooky splendors. 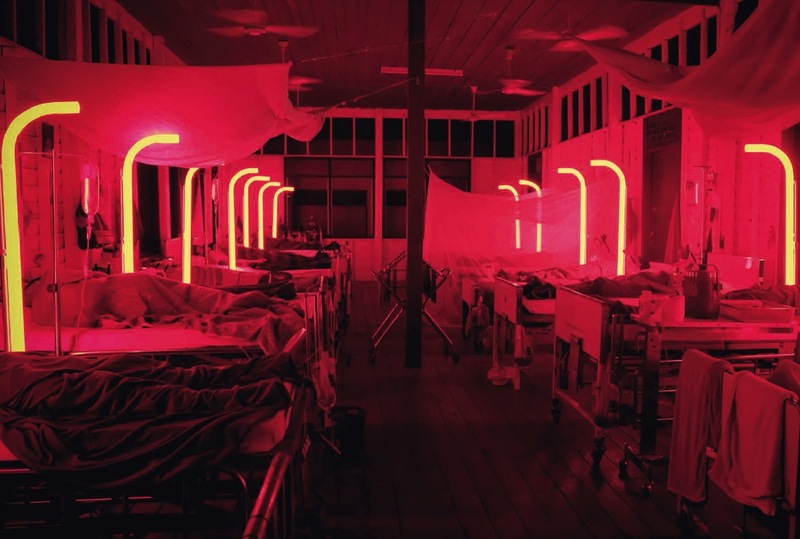 Weerasethakul composes long, static shots of the women and the soldiers in the hospital in states of waking and sleep, along with fantastically ordinary shots of the natural beauty surrounding them. The pace of the film warrants comparisons to actual dreams, but little bits of nurse’s humor (the director’s love and nostalgia for his childhood as the son of parents who worked in just such hospitals is clear) keep the film grounded in some sense of childlike reality. A long stare in the film’s closing coda hints that maybe this all exists in the head of our protagonist, but the beauty of that dream is manifest all around her making her fantasy at one with nature and continuously cycling. In stark contrast to the leizurely sleepy-time pleasures of Cemetery of Splendor is Karyn Kusama’s slow-cooker of unbearable tension in The Invitation. Here a man brings his new girlfriend to a dinner party in the Hollywood hills at his former house where his ex-wife and her new husband still live, and mutual friends have gathered for a reunion. Kusama is not subtle here, but that just adds to the boil we all know is going to bubble over. The opening scene has our visiting couple hitting a coyote on the drive up, where he coolly puts the poor animal out of its misery much to her horror. It’s a great piece of foreshadowing as a tragedy in the past is revealed that weighs heavy over the group. Meanwhile strange guests, awkward conversations and bizarre party games ensue all leading our protagonist to deduce something terrible has been planned and they need to get out of there fast. The acting is all over the map and the production values dim, but Kusama’s direction is sharp and occasionally startling, and the story surprisingly resonant. What makes The Invitation so shocking isn’t how the party devolves into a horror show (anyone could’ve predicted this) but how much emotional trauma marks the terror and turns it all into a grand metaphor for grief and loss. The most shocking scene in the film isn’t one of horror at all…(potential spoiler)…but instead one of solitary realization and psychological depth. Our protagonist walks into the former bedroom of his deceased little boy, and Kusama shoots it hauntingly but with great realism…the father sitting on the edge of the bed with his back to the pillows and the wall, the sleeping boy suddenly behind him. He lies down next to his child, who opens his eyes, and they smile at each other. The father blinks, and his son is gone. It’s absolutely heartbreaking, and it would pack a wallop even if it didn’t come right before all hell breaks loose in the house. The ending is both vaguely apocalyptic and strangely hopeful. Grief might make it seem like the world has gone mad…but there’s always a hand reaching out to you. You just have to be willing to grab it. This entry was posted in Art-house Cinema, Movie Reviews, Movies, Psychology and tagged Apichatpong Weerasethakul, Cemetery Of Splendor, Dreams, Foreign Films, Grief, Karyn Kusama, Los Angeles, Netflix, Psychological Thrillers, Strange Films, Thailand, The Invitation.